The U.S. Department of Labor views construction as one of the most dangerous industries in the country. New York also recognizes the inherent dangers associated with elevation-related construction work and has passed statutes that specifically address scaffolding, ladders, cranes and other equipment. At Segan, Nemerov & Singer, PC, our scaffolding accident attorneys in New York City have six decades of experience successfully handling scaffolding, ladder and crane accident cases. When using a scaffold, a construction worker works at staggering heights, taking daily risks that are unimaginable to most of us. To protect construction workers, building owners and contractors must create the safest construction environments possible. When they fail to do so, the law will hold them accountable. This was the legal perspective of New York legislators when they passed New York Labor Law §240, nicknamed the Scaffold Law, and §241, which specifies construction safety guidelines. Because of New York’s labor and construction laws, building owners and general contractors are less likely to skimp on safety regulations when cutting costs. These laws make New York’s construction environments some of the safest in the country. The Bureau of Labor Statistics ranks New York as one of the nation’s lowest construction injury states. 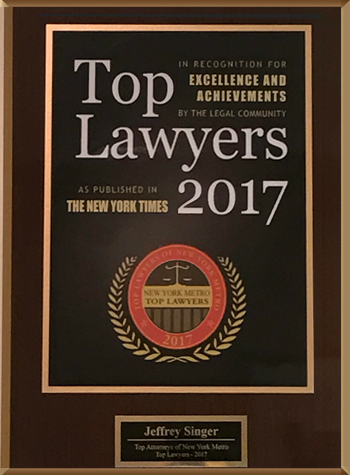 New York laws also provide a legal basis for workers and their attorneys to bring accident claims. Additionally, given the unique place of high rises, skyscrapers and other tall buildings in the construction environment of the city, New York labor laws contain specific regulations surrounding construction accidents that involve falling objects and falls from heights. Poorly designed, placed or maintained ladders that fail to meet safety standards make workers prone to falling. Cranes attempting to lift unbalanced or oversized loads often collapse or topple over, severely injuring or killing crane operators, and others on or near the work site. Properly functioning equipment, adequate training and safety restrictions can prevent many crane accidents from occurring. Even so, in the event of accidents, New York City crane accident attorneys can investigate to determine causes, uncover statute violations and pursue lawsuits on behalf of injured victims and families who lose loved ones. If you or a family member suffers serious injury in a construction accident, contact our scaffolding, ladder and crane accident lawyers in New York City. 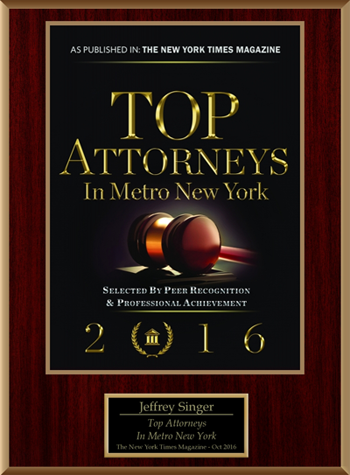 For a free consultation to discuss your claim, call us at 212.696.9100 or 646.719.0891 or contact Segan, Nemerov & Singer, PC online.